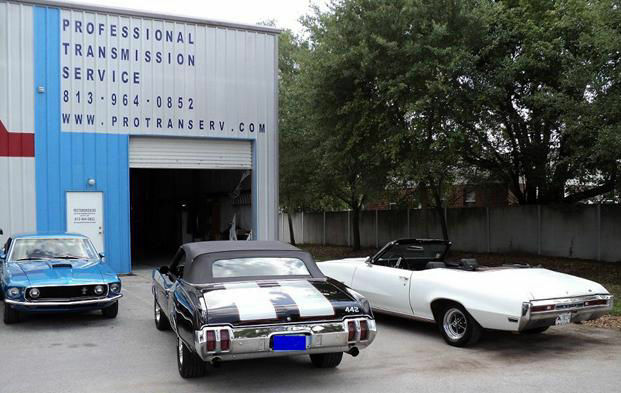 An honest and accurate transmission repair shop specializing in custom and classic rides and general repair and servicing. You can ask any of my customers and they will tell you without hesitation that they will not bring their car to any other repair shop, period. If shoddy work and "inattention"-to-detail fits your lifestyle, then you will have to go somewhere else. For that you have plenty of locations to choose from; just open your phonebook to "automotive repair" and throw a dart. HOWEVER... if you want to hit the bull's-eye in PRICE, HONESTY, and ACCURACY all in one shop, your search has just ended. Take your valued investment to a shop that knows how to run a respectable business based on years of knowledge and experience and how to build mutual trust, one customer at a time.